Funes Valley, 1973: Oskar Messner is born. When he was a boy watching his mother and grandmother in the kitchen, he declared, “I’m going to be a chef.” Said and done. After he attended school for hotel management and followed several internships in different restaurants in Alto Adige, in 2004 he transformed the family café into a family restaurant. 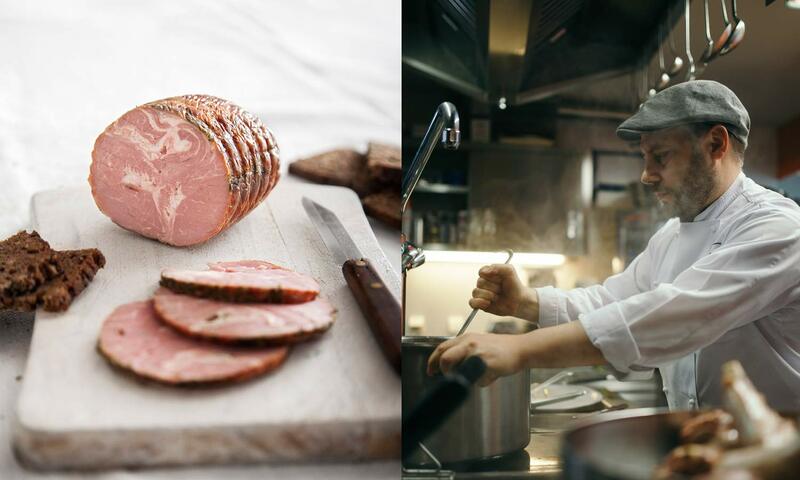 Oskar has a passion for local and traditional products. He likes to exalt them in the kitchen, and he buys exclusively from local producers. He works closely with the farmers of the zone, and it was in this way that his “lamb project” was born, alias Furchetta. In the beginning of 2000, New Zealand lamb was all the rage in foodie circles. Naturally, Oskar sought out the local alternative, a breed called the Villnösser Brillenshaf (literally, “sheep with glasses” because of the black markings around their eyes), a native breed of the Funes Valley. Its meat is incredible, thanks to feeding in high altitude pastures. The thing was, very few people who bred this sheep remained. Brillenshaf risks extinction because its market is so small. Even though it’s a woolly sheep breed, the prohibitive cost of producing its wool puts its breeders in the situation of actually paying for its disposal. That was a heroic time in Oskar’s life. He remembers when ordering a lamb from a farmer was “an adventure;” days and weeks could pass when he could never be certain when the butchered lamb would arrive in his restaurant (often, in the trunk of a Panda). It was a “very original” (sic) way of working, but too work-intensive when it came to the daily management of a restaurant. In 2007, Oskar improved the supply chain by creating the company Furchetta together with two of his friends, Stephen Unterkicher and Kurt Vontavon. The three were in agreement: to save the Brillenshaf, they had to valorize all its products, both the wool and the meat. 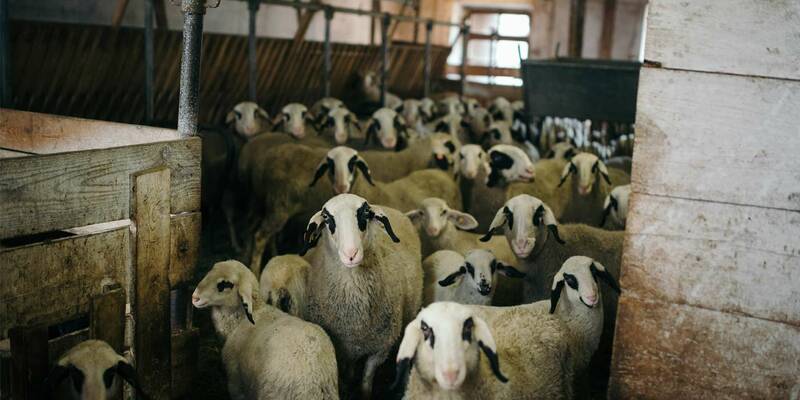 Their goal was to keep alive the tradition of sheep breeding in Funes Valley, guaranteeing the breeders (whose number quintupled in seven years from 10 to 50) a continual purchase of their meat at the right price. Oskar, Stephen, and Kurt contacted Slow Food and asked them to recognize the Brillenschaf as a Presidia, or a protected food product, with the support of local organizations. It became a Presidia in 2011. 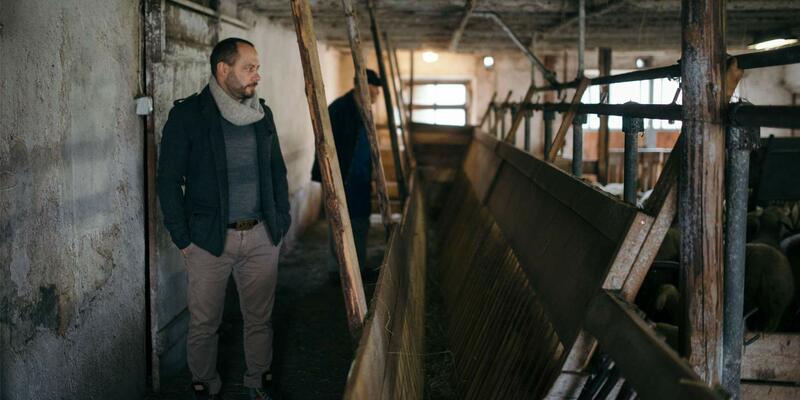 From that time on, Furchetta continues to purchase the meat and the wool from the farmers, which is worked according to traditional methods to make berets, slippers, and balsamic-scented cushions upholstered with wool and pinewood shavings. The Furchetta project takes up all of the three friends’ free time; and although they “haven’t seen high earnings” come from it yet, they’re happy for the positive results they’ve made for the farmers and breeders. It was pure passion and satisfaction that helped the traditional values of this land emerge and stay alive. After they purchase the lambs, Oskar, Stephen, and Kurt butcher them and process the meat in Bressanone. The fresh meat is sold directly to restaurants. “The delivery system has naturally improved over time,” says Oskar with some irony. In the beginning, it was difficult; but now, the packaged, fresh meat and other products by Furchetta have found a small, local public of buyers and fans. There is even a week of festivities every year in honor of the Brillenshaf at the end of October, in which 25 restaurants participate with traditional dishes (and new ones) based on lamb. Oskar, Stephen, and Kurt emphasize a concept in which they firmly believe: respect. Respect for the animals, for the farmers, and for tradition. Whoever tastes the cured lamb loin and seen the delightful berets can testify that, even though the numbers are still quite small, these boys have scored a strike.